The market leader of a household bleach heard that a new (strong) competitor was entering the market and was gearing up for a major launch of their new bleach brand. The market leader only had a week or two. But what they did was simple and wonderfully insightful. 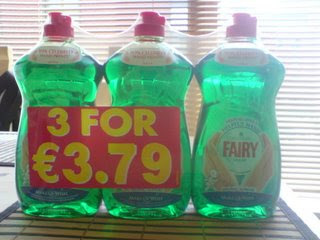 Because people only buy household bleach every two or three months, they immediately introduced a "Two for price of One" pack for a limited period. Consumers jumped at this great promotion and of course, then had no need for bleach for the next six months. The competitor had no sales for six months, and allowed the leader more time to decide next steps.